Like Ultralift balances, the Torso models are double sprung to give the end user significant levels of mechanical assistance when operating the window, with inner and outer springs supplying equivalent levels of tension to match the weight of the sash. Torso balances, however, are able to cater for much heavier sash weights, supporting sashes from 3kg – 50kg. Offering torque free operation for smoother movement, Torso balances are renowned for their reliability, being able to provide lift for over 100 years’ worth of regular use. 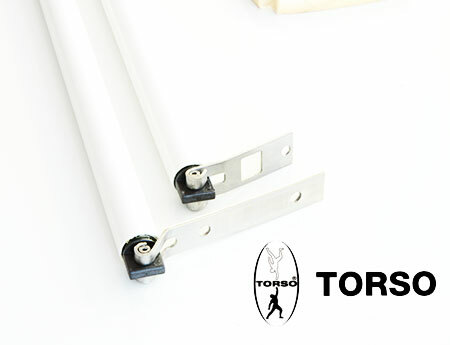 Torque free movement is especially important for heavier sashes, reducing the chance of bi-axial strain which significantly improving performance of the sliding action. They are available in grey, white and brown 19mm diameter PVC-U tubes, and can be specified for both tilt-in and traditional vertical sliding sash windows.